By Melissa Lennig on January 7, 2018 Leave a Comment. This content contains affiliate links. As an Amazon Associate I earn from qualifying purchases. 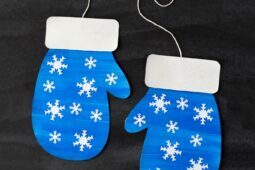 Winter is the perfect season for mitten crafts! 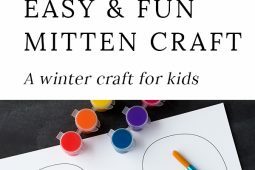 Kids of all ages will enjoy using our printable mitten pattern, washable paint, and basic craft supplies to create a fun and colorful mitten craft at home or school. Older kids may enjoy drawing more intricate designs or using watercolor resist to decorate their mittens. Winter is the perfect season for mitten crafts! 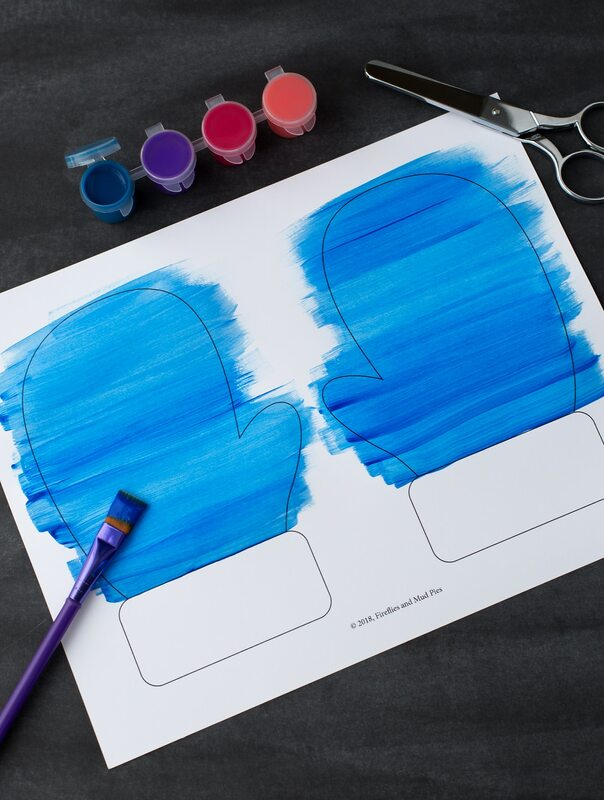 Kids of all ages will enjoy using our printable template, washable paint, and craft supplies to create a fun and colorful mitten craft at home or school. Print the template on white cardstock. You will need 1 copy per child. 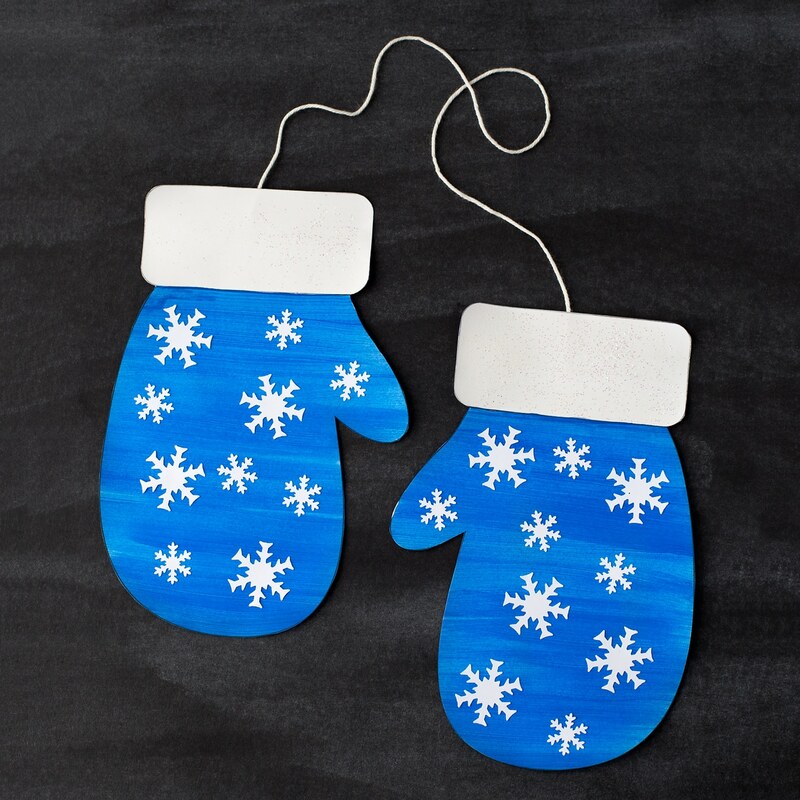 Invite your child to paint their mittens. 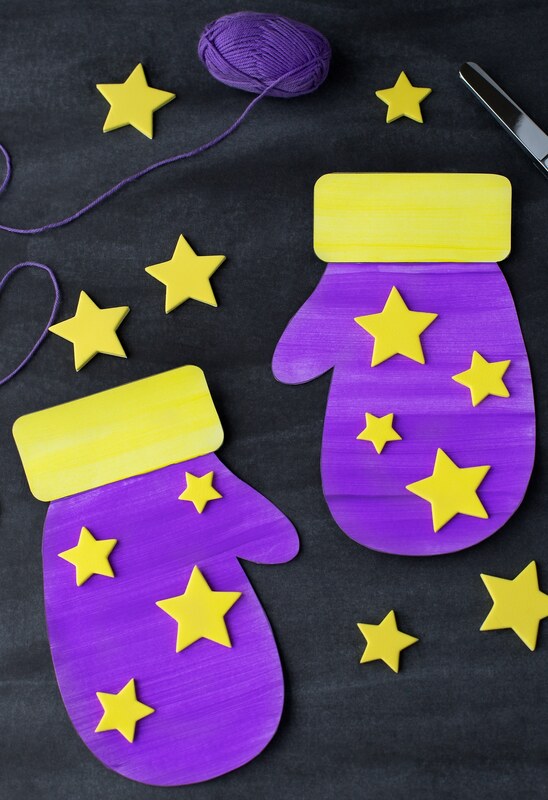 When the paint is dry, cut out the mittens, then invite your child to decorate them with sequins, glitter, foam stickers, or paper cutouts. Tape a strand of yarn to the back of each mitten. 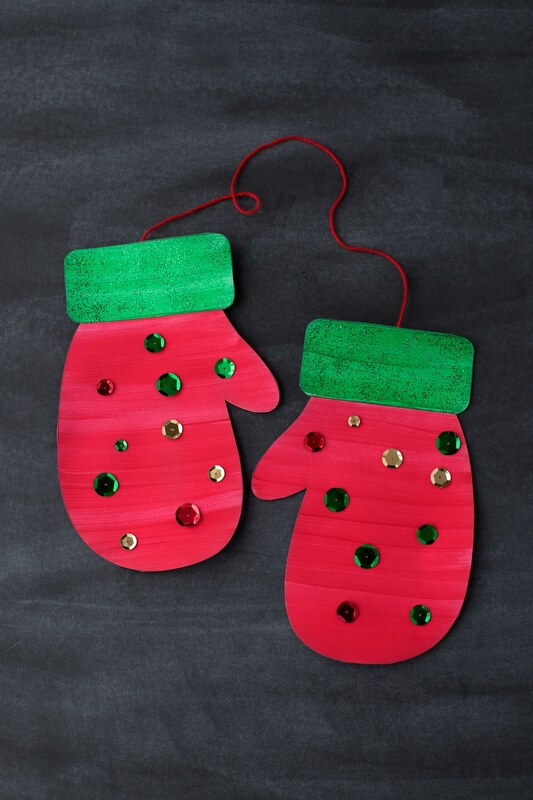 If desired, mount each pair of mittens to a piece of construction paper to display them on a bulletin board or wall. Your winter mitten craft is complete. 1. Print the mitten template on white cardstock. You will need 1 copy per child. 2. 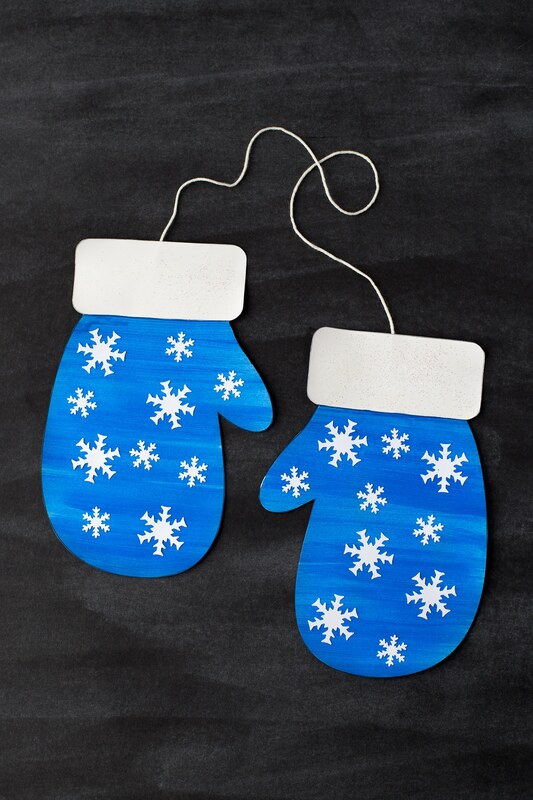 Invite your child to paint their mittens. Choose a winter color scheme or invite your child to choose their own color. Alternatively, kids could color the template with crayons, markers, or colored pencils. It can also be used as a pattern to trace on brightly colored paper or felt. 3. When the paint is dry, cut out the mittens, then invite your child to decorate them with sequins, glitter, foam stickers, or paper cutouts. 4. Tape a strand of yarn to the back of each mitten. 5. 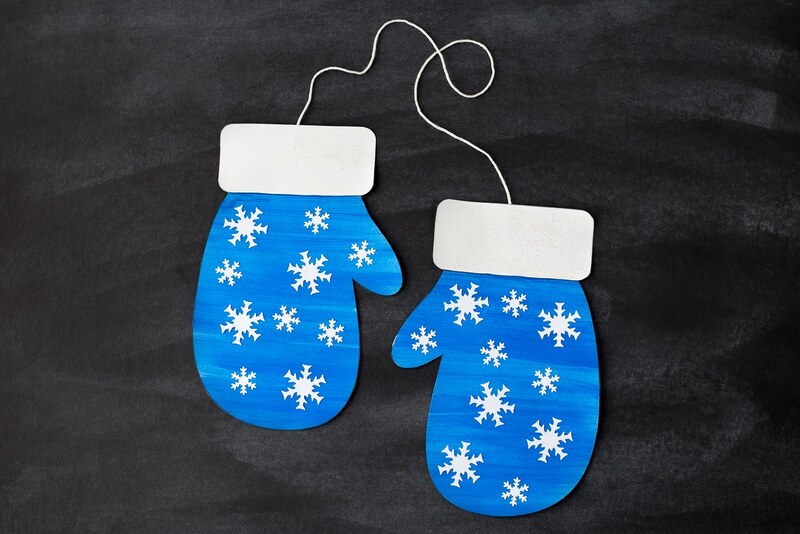 If desired, mount each pair of mittens to a piece of construction paper to display them on a bulletin board or wall. If you work in a school, you know the lost and found bin is always overflowing with mittens! 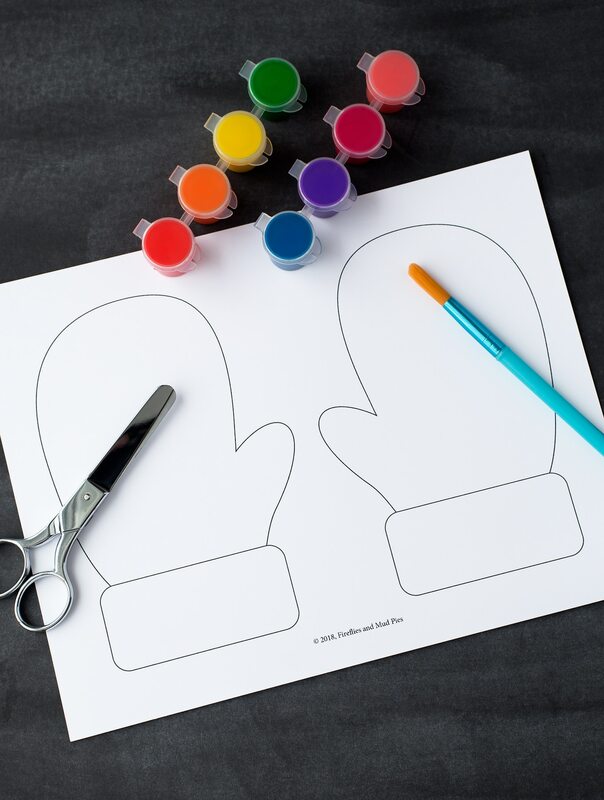 Use this mitten template to create a one-of-a-kind lost and found-themed bulletin board. 1. Print, paint, cut, and decorate the mittens as directed above. 2. Tape an extra long strand of yarn to the back of each mitten. Kids will enjoy starting at one mitten, then following their strand of yarn around the bulletin board to find the match to their pair! 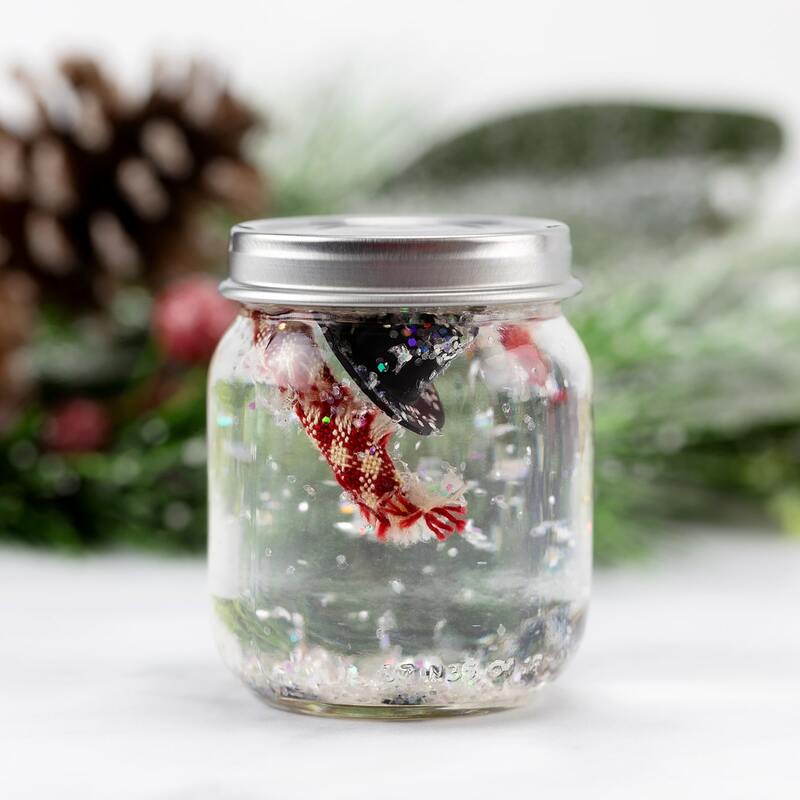 This melted snowman in a jar craft is fun for kids to make at home, school, or community programs. 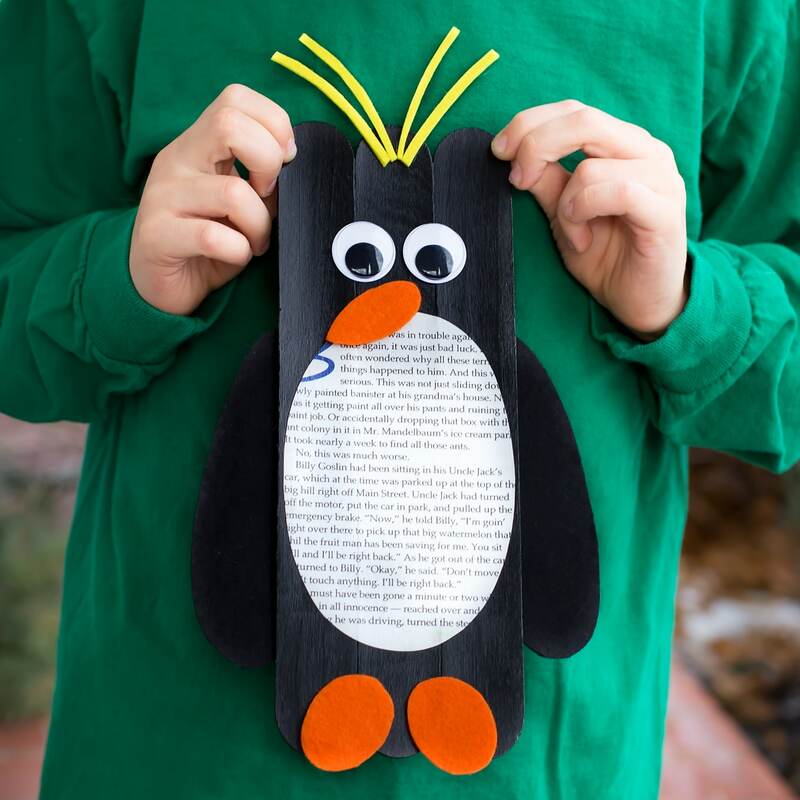 This giant craft stick penguin craft is perfect for winter! 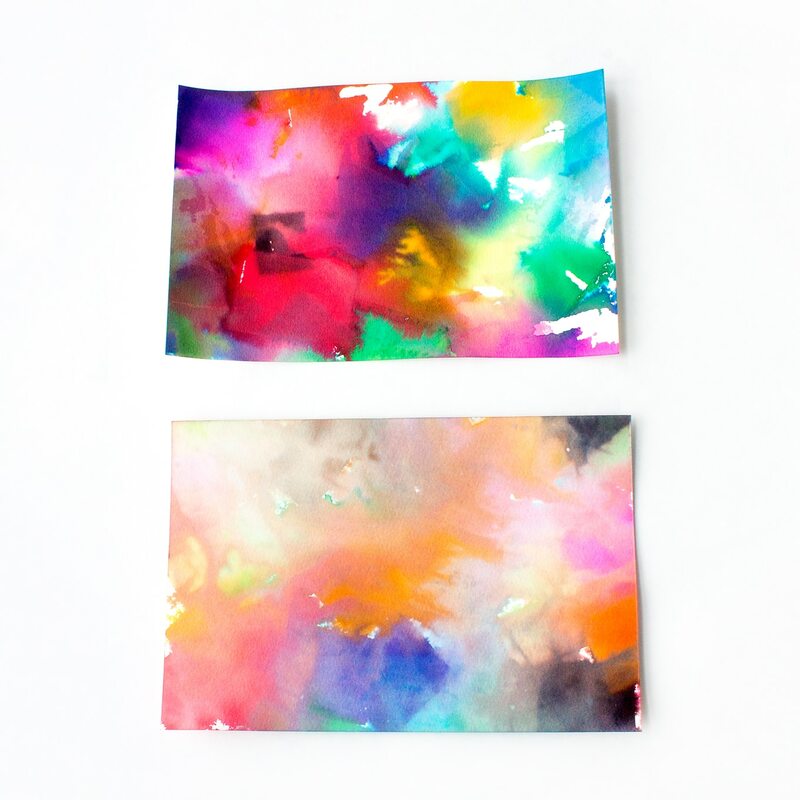 Nature and art collide in this beautiful winter art activity, snowy day tissue paper art!